Summer is off to a great start! I was interviewed by Hip New Jersey (available on hipnewjersey.com in a few weeks) on the beach in Ocean Grove, NJ this weekend. Then the camera followed me on my Beach Ambush promotion as I surprised readers with THE MEMORY BOX book booty: signed books, beach totes, t-shirts and more! Have you ever seen Sno Balls on the beach?! 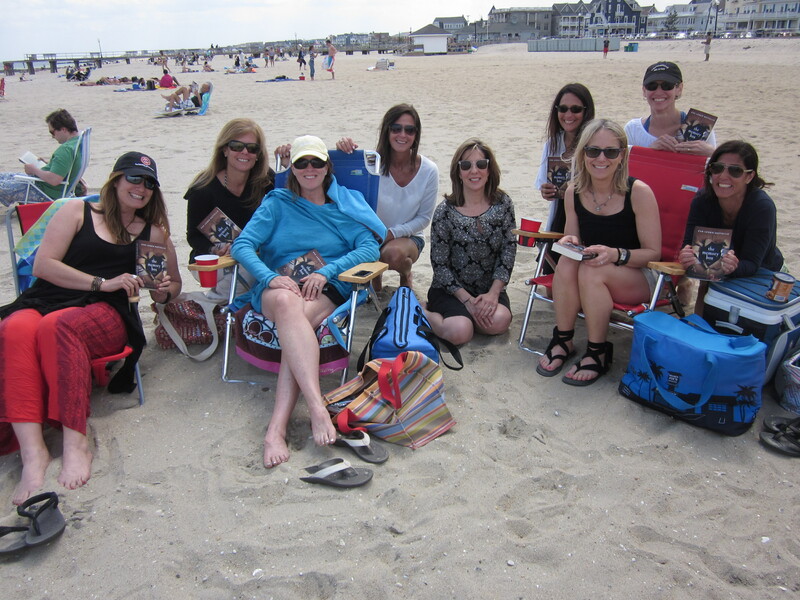 Check out this group of women I found in Ocean Grove — they told me they love reading page-turners on the beach and now they all have a copy of THE MEMORY BOX! Bam! Just like that. It was so much fun; I felt like Oprah! They were from Yardley, PA, enjoying a girls weekend. One of them already had THE MEMORY BOX on her book club’s to-read list and was excited to tell them she met the author on the beach. Wow, how did that happen?!? Thrilling for both of us. Will you be on the beach this summer? In New Jersey, Connecticut, Long Island, Martha’s Vineyard or Maine? Look out for THE MEMORY BOX Beach Ambush — it might be coming to your beach! If it does, be sure to say “Hi!” Or “Hello there!” or “Aren’t you that author person?” or “Hey, you’re blocking my sun!” Well, not that. But a “Hi!” would be nice.